Life would be a lot more difficult without our everyday tech. No smartphones would mean no music or video on the go, no instant online access, and no live feed updates from our social media obsessed friends. Thinking on, a life without smartphones wouldn’t be all bad! There’s no doubt, though, that technology is making life easier in so many ways, it helps us stay in touch with friends and colleagues, gives us the opportunity to work from home, and it even parks our cars for us. Not only that, but technology offers some ground-breaking solutions to the many difficulties faced by disabled people. Smartphones are today’s must-have tech. Figures from Deloitte show over three-quarters (76%) of UK adults now own one, and far from just offering a range of distractions to most of us, these microcomputers are coming up with increasingly ingenious ways to help people with all kinds of disabilities. We’re all aware that smartphones can be used completely hands-free, but they can also hook up to peripheral devices, like hearing aids, and can be loaded with applications that can help children overcome speech impairments and learning difficulties. Apps, such as iSigns can help communication between deaf students and general education teachers that do no sign, while iPrompts is available to help those with autism by providing visual prompts to help decision-making and focus. Furthermore, things like screen magnifiers make sure those with visual impairments are also able to benefit. 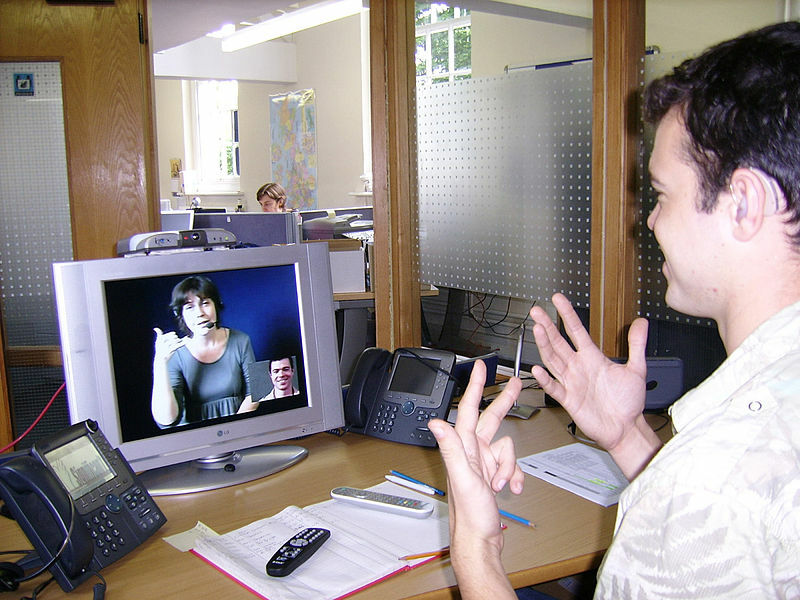 Apps like Skype and programs such as FaceTime, have obvious benefits for deaf individuals. Smart spectacles, such as Google Glass, offer users the power of a smartphone in a hands-free frame that sits on the face like a regular pair of glasses and has the potential to help people with a range of impairments. Facial recognition software, for example, can read the emotions on a person’s face and display emojis on the screen to represent feelings such as ‘happy’, ‘sad’ or ‘angry’. This would be beneficial for people with Asperger’s Syndrome, as they have difficulty identifying the emotions of those around them. Smart spectacles could also use voice recognition software to offer real-time subtitles for people with hearing difficulties. Smart glasses for the blind help wearers to identify shapes, distance and can detect objects several meters away. It’s not all about smartphones, though, technology is also being used to help those with physical impairments. With the developments in robotics over recent years, there is a realistic chance of people with spinal-cord injuries being able to walk again with the help of robotic exoskeletons. The obvious physical and psychological benefits for rehabilitation cannot be overstated. In combination with traditional physical therapy, robotic-aids can potentially rebuild neural pathways and help people to acquire the ability to walk again in a much shorter space of time. Traditional therapy benches and other therapy aids will still have an important place in rehabilitation. Therapy benches are an effective way to help children with physical impairments make the transition from floor-based therapy to kneeling, and from kneeling to standing. Supports can be added or removed to support the child as needed, while further hip, thoracic, and knee supports can be added to concentrate on skill development like hand-to-mouth and cross-body coordination. Advances in cycling technology mean more and more disabled people can now enjoy the physical and mental benefits of exercise, and enjoy the feeling of independence offered by cycling. 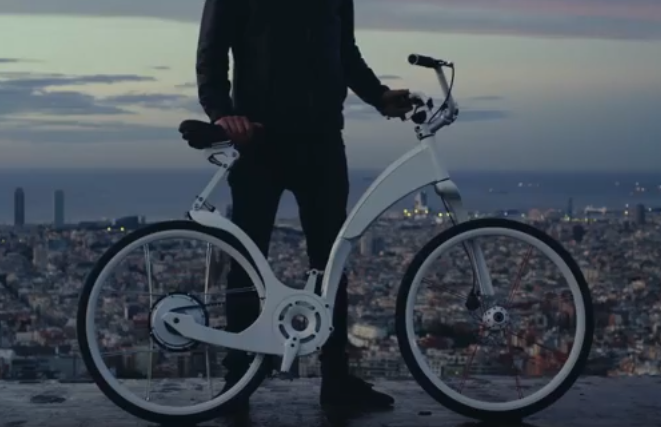 From GPS pedals to development in synthetic materials that make bikes more lightweight and agile. Adaptive bicycles are modified to aid balance, build confidence and improve fitness, and are available to help adults and children of all sizes and ability levels get around on their own and enjoy the benefits of regular exercise. In addition to the obvious benefit to overall fitness and a healthier cardiovascular system, adaptive bicycles have helped cycling become a more inclusive pursuit, meaning physically impaired people can now get out and about with their friends and peers to feel part of a team and a community.